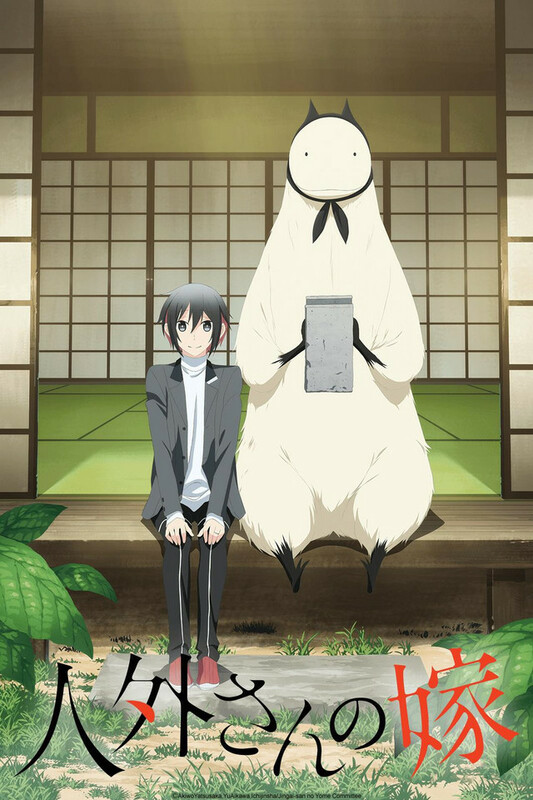 I was a bit unsure at first, but I ended up really liking this show, it's very cute. The credits music was super catchy as well. I hope there are more episodes in the future, 3 minute episodes are too easy to binge... Why do I need to write so many words in a review?? This has been in my queue for a while and I finally got around to watching it. I expected the demon-human couple and slice of life elements. What I didn't expect was such short episodes that managed to pack so much into a little package without being rushed. I was able to watch in one sitting and loved the adorableness. I'm a sucker for cute things. I would have given a 4 star because I would have liked it to be longer, but I want to offset some of the negative reviews from ppl who didn't watch the whole series or had not-so-great reasons for their low review. For example, lack of plot is a bad reason to give a slice of life anime a low review because slice of life is basically a show full of filler episodes. Of course, there are things that give me pause like the fact that the demons pick middle school students as brides instead of maybe college students. Putting young ppl in adult or traumatic situations seems to be a running theme in most anime though, so I'm grateful that it was mostly wholesome and comedic instead of perverted. These short episodes allowed me to binge them and filled me with a happy feeling. The show was super cute and I absolutely loved every single character in this series. This is now one of my top animes and I love it with all my heart. To me, the anime is poorly rated and deserves much higher for how cute and weird it is. i hate the run of going to a new world anime and the monster anime spree. I hate going inside video games stuff too, but i really hate the marriage anime. It not like i don't know arranged marriages don't happen still but to monsters who you can't really talk to. It odd and would never happen and not even funny. i find this as a cash cow only. It like bl it made for women not gay men. This is made to make money nothing else it it fails on all fronts. I didn't really know what this was at first, but it seemed interesting so I checked it out. It's totally gross that monsters (who seem almost comparable to 30+ year old men?) can just sit down in a school and pick spouses, but this sort of makes it work if you don't think too much about it. Otherwise, this is a very cute and goofy show that plays on some classic anime/manga tropes. It was interesting and gave me a giggle, so you might as well try it out. It's not a bad anime, but I wouldn't put it in my list of favorites. Each episode is only 3min long, so you can watch it very fast. Definitely cute, but extremely weird. If you want to watch this anime, go in with no expectations. Just enjoy it for what it is, and try not to question... anything. If you require a lot of plot and character development, this is not the anime for you. Best couples I have seen in a while. Too Cute!! Instant Pick Me Up. This is so beyond cute. You can't stop watching because it's just that cute. Having short episodes means it's not a hassle to just binge the entire thing in one sitting. And sure you spend a lot of time trying to figure out why and how you've been sucked it, but that's the fun of it. Definitely recommend it if you want a smile.